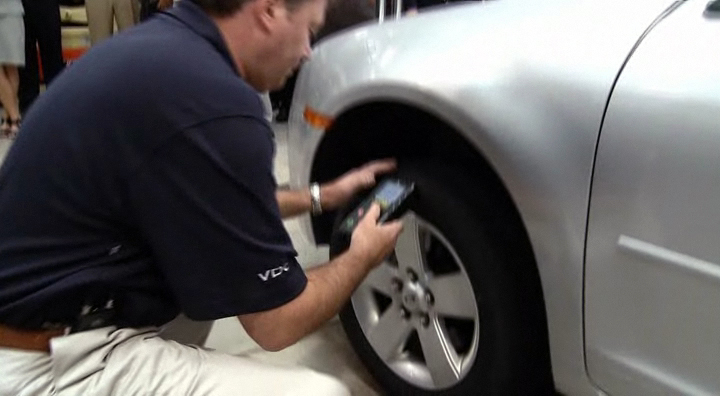 VDO Redi-Sensor > News > Tech Tips > Don’t confuse TPMS relearn with sensor programming. Servicing TPMS equipped vehicles profitably can be a challenge without the knowledge, the right parts and the right tools. In spite of all the training programs and technical articles on the subject, there is still a lot of misunderstanding about TPMS, and the confusion between vehicle relearn and sensor programming tops the list. Vehicle relearn and sensor programming are completely different procedures. The issue stems from the availability of aftermarket TPMS sensors that come as “programmable”, “universal” or “cloneable” sensor units. These sensors must be programmed with the proper protocol/application information for the vehicle before they can be installed in the tire, and then must be relearned to the vehicle. Unfortunately, some shops overlook the necessary relearn step mistakenly believing the sensor programming did the trick. This misconception can lead to service comebacks and customer complaints. 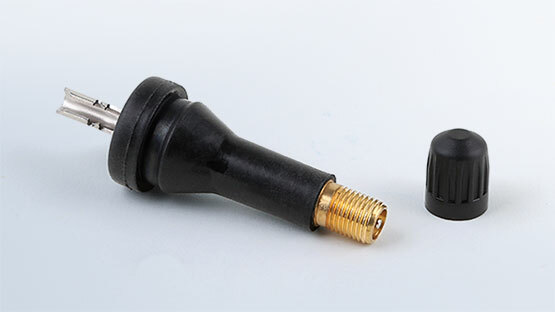 Every TPMS sensor must be “relearned” to the vehicle following the prescribed OE relearn procedure after replacement, regardless of whether it is genuine OE or aftermarket. The relearn procedure is mandatory to ensure that not only the replacement TPMS sensor works properly, but also the vehicle’s complete TPMS system functions properly as well. With the exception of some Chrysler and Mazda models that may be relearned to the vehicle via a driving procedure, a TPMS scan tool is required to complete the vehicle relearn procedure. Some aftermarket sensors require special programming to meet the vehicle’s application specifications prior to installation and relearn. These may include “programmable”, “universal” or “cloneable” sensors. In addition to this extra step, technicians may also need to invest in additional specialized tools, training and software to complete the process. And even if a shop has the specialized programming tool, it may need to be updated to provide the latest application or software changes in order to meet the specifications of a particular vehicle. Multi-application TPMS sensors, such as the VDO REDI-Sensor Sensor, do not require this extra programming step because they are already loaded with the proper programming needed to function with the vehicle’s TPMS. These multi-application sensors can help reduce lost service time, eliminate unnecessary expenses and training and cut down on customer complaints and comebacks. 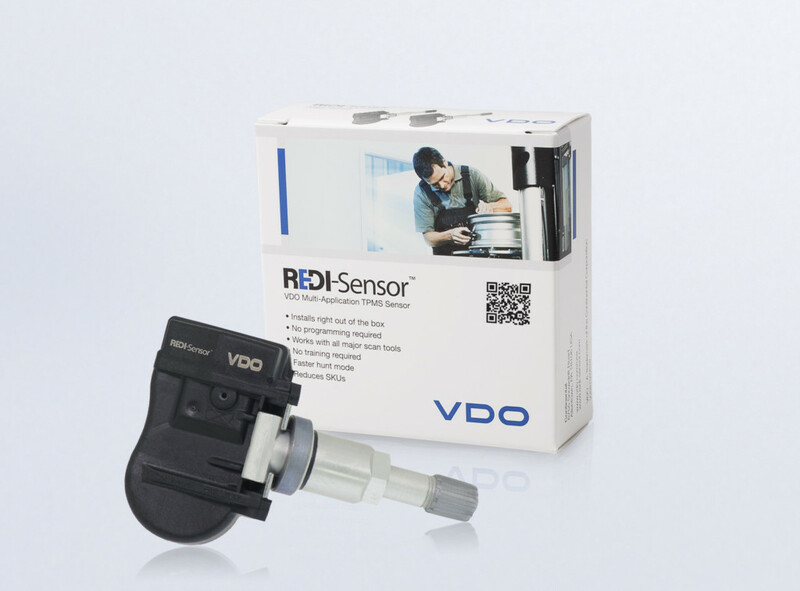 VDO REDI-Sensor is a multi-application TPMS sensor works exactly like the OE sensor. It is pre-programmed and ready for the vehicle relearn procedure as soon as the technician takes it out of the box and installs it in the tire. REDI-Sensor follows the standard OE vehicle relearn procedures, and works with all major TPMS scan tools, including those from ATEQ, Bartec, OTC / SPX, K-Tool (T.I.P.S.) and Snap-on. Furthermore, VDO REDI-Sensor covers over 85% of all vehicles in North America with only three sensor part numbers and replaces over 140 OE sensors. 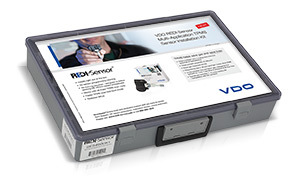 For more information, visit: www.redi-sensor.com or contact: salessupport-us@vdo.com.